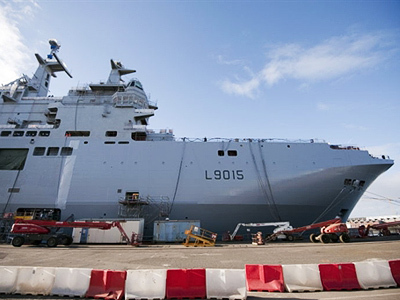 Although no political obstacles remain in the negotiations on Russia’s purchase of Mistral-class ships, France may keep the helicopter carrier’s sensitive technology. 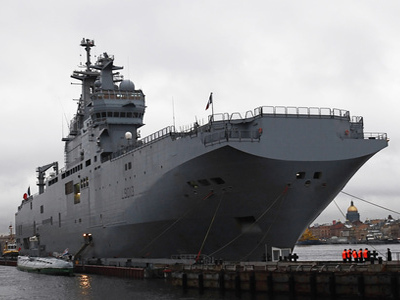 ­As Moscow and Paris are discussing the details of the contract on the purchase of a French Mistral helicopter carrier, largely technological issues still remain on the agenda, French Ambassador to Moscow Jean de Gliniasty has said. Another issue is the classified technology inside the Mistral. Its sale is “not on the agenda,” because it would have required NATO consent. So Russia and France are not discussing the issue at the moment. It is easier to agree upon the technology that comes together with the ship, the ambassador noted. According to the diplomat, the deal “sets an important precedent,” as Moscow has never signed such contracts with a NATO member state. He even described the deal as “an experiment” for both sides. Another important innovation is that a Russian shipyard is supposed to take part in the project as well, giving a start to the cooperation in the construction of warships. 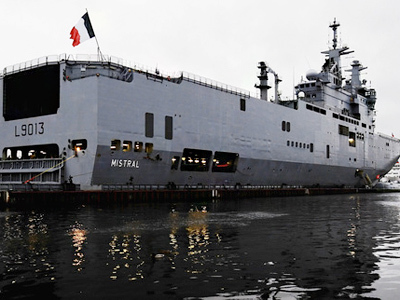 Earlier this month, the Russian Defense Ministry said both sides have come to an agreement on the equipment of all the Mistral-class ships intended for Russia. They will be equipped with all weapons systems present on the existing helicopter carriers, according to the ministry. Paris will take into account the Russian Navy’s requirements, the Defense Ministry said. The contract also includes the option for licensed construction of two more similar ships in Russia. Last week, President Dmitry Medvedev dismissed a Navy official responsible for talks with the French side on the purchase of the Mistrals. 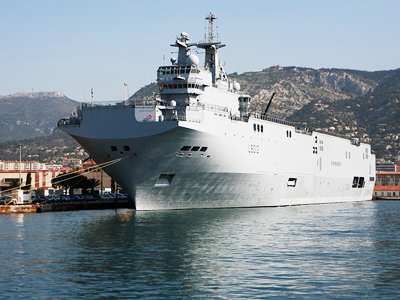 The media speculated that a problem remains with the price of the warship, because Moscow wants it to include the cost of the Mistral itself and all the technology. Analysts then even assumed that the talks could return to the level of the presidents of both countries.